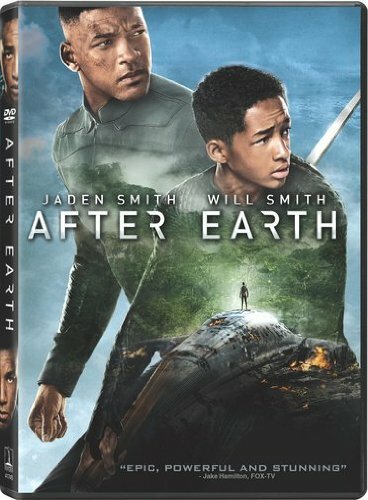 Buy After Earth cheaply from Amazon or read more articles on film and television. You too can earn money from writing articles by signing up for InfoBarrel. About one thousand years before the start of After Earth, a military organisation was founded called the United Ranger Corps. The Rangers were founded to evacuate Earth, which had become uninhabitable for humans, and settle them on a new planet. The refugees settled on a new planet they called Nova Prime, only to eventually discover that they were not alone. A hostile alien race attacked the human colonists, and the Rangers were called upon to defend humanity. General Cypher Raige (Will Smith, Focus, Men In Black 3) is the commander of the Rangers. His son, Kitai (Will's real life son Jaden) is a cadet in the Corps and struggling to progress due to issues in his past. The relationship between father and son is distant and formal, more superior to junior than father to son. Again, this is a result of these same issues. These are explained during the film in brief flashbacks. Credit: http://en.wikipedia.org/wiki/File:After_Earth_Poster.jpgBoth Cypher and Kitai are on a military transport ship, the Hesper-2, journeying to a training facility when it is hit by an asteroid storm which damages the ship and forcing them to emergency "travel." This is presumably a type of faster than light drive. The ship comes out above Earth and has to make an emergency landing (crash) which kills most of the people on board. Only Cypher and Kitai are seen to survive, but Cypher is badly injured. Kitai has to travel across 100 kilometres of terrain to reach the tail of the ship in which there is an emergency beacon which can be triggered to get them rescued. For some reason, the film starts initially just after the crash, before going back in time to the events of three days before leading up to it. Earth is a very dangerous place; most lifeforms have apparently evolved to kill humans, the climate is subject to rapid daily temperature changes and there appears to be an oxygen problem. The science, as is not uncommon in science fiction films, is a bit dodgy. The asteroid storm is a typical movie depiction of asteroids, namely asteroids of all sizes that are practically touching each other. There isn't even actually such a thing as an asteroid storm. Some communication difficulties seem to have been added simply to add suspense and truthfully make no sense in the way they are handled. The sudden temperature changes on Earth seem unlikely to say the least and would probably be fatal to most wildlife. It's also uncertain as to why the creatures would have evolved to kill humans, given that there are no humans on Earth. In addition, it's curious that the animals don't have any problems breathing, and yet humans can't seem to get enough oxygen. This is a fairly typical father and son bonding film, simply set in a debatably futuristic environment. Hardships and danger serve to bring the two closer together and mend their relationship. The vast majority of the film features only Cypher and Kitai, with occasional snippets from Cypher's wife and Kitai's mother Faia (Sophie Okonedo) and somewhat less from daughter and sister Senshi (Zoë Kravitz, The Divergent Series: Allegiant). Given how much screen time is devoted to the two, it's rather a shame that Jaden's character is simply not that engaging, whether because of how he was written or how he was acted, although the latter seems the most likely given details revealed in the flashbacks that appear to be there so that we can empathise with Kitai. Although the scenery often looks glorious, After Earth is a fairly average film with no surprises that would probably have been better without the inclusion of Jaden Smith.